During the week of Thanksgiving, let’s sit back with friends and family to unwind. While many on Long Island are still recovering, Manor East in Massapequa is looking to help by offering a charity Thanksgiving buffet feast to all families. 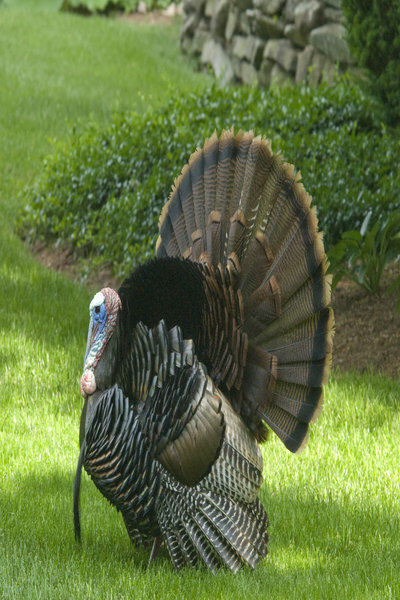 You can also enjoy the annual turkey trot events on Long Island. The week is also complete with free movie showings and unique classes at Long Island libraries. If you’re ready for some Christmas holiday performances, A Christmas Carol – A Ghost Story of Christmas starts at John W. Engeman Theater this week. Check out the details below! Info: Art is special, but it’s even more special when you created it yourself. Take part in this aluminum engraving class where you have the opportunity to create your own piece of work suitable for framing. Register online. Info: The Hunger Games started as a novel and has successfully made its way to capture an audience through film. It tells the story of an annual event in which one boy and one girl aged 12 to 18 is selected by lottery to compete in the battle to the death. Enjoy the movie at the library with popcorn served. Info: Enjoy a theater performance that celebrates the holiday season. A Christmas Carol – A Ghost Story of Christmas takes a new twist on an old classic with the character Ebenezer Scrooge. Tonight is its first showing. The show continues to run through January 6, 2013. Info: The romantic-comedy drama tells the story of 12-year-old Sam and Suzy, fleeing their New England town. Upon fleeing, a local search party goes out to find them. The two make a secret pact and run off to a secluded cove they name Moonrise Kingdom. Info: There will be a live band at this Thanksgiving Eve Dance Party with a full buffet. Come out to mingle, dance and party. It’ll feature live music from Body & Soul. Proper attire is required. No jeans, T-shirts, hats or sneakers are allowed. Info: It’s a documentary starring 475 lifeguards from ages 17 to 80 having the time of their lives. After leaving the shores of Jones Beach, Ron Blake Colby returns to see many of his former lifeguard friends working on the beach. Info: This is a full Thanksgiving buffet feast that is open to all families as a charity. Manor East has been helping with cleanup efforts after Superstorm Sandy and it continues to want to help those affected by it. Info: The Port Washington Thanksgiving Day Run, also known as The Turkey Trot,” is an annual fundraiser event for the Port Washington Community Chest. The charitable organization raises funds for distribution to local charities to help improve people’s lives. There’ll be runners, joggers and walkers for this 5-mile course. Register by November 21. Subject: LongIsland.com - Your Name sent you Article details of "Hot Spots: Weekly Watch for November 19 through November 22"